Characters and critters are corralled to create a new start for veterinarian Clay Williams in THE HIGH COUNTRY, by author RICHARD PERCE, DVM. After a stint as a race track vet Williams strays into Steamboat Springs, Colorado and decides to set up his veterinary practice. Williams is not exactly welcomed by a local realtor who informs him there’s already a vet clinic and that they don’t need another. Williams persists and builds up his equine practice, just down from the donut shop, with the blessing of the nearly silent large animal vet already in town, who happens to be fed up with some of the locals. A unique sense of humor amply spills through the encounters Williams experiences with the area’s people and animals. Author Perce offers the reader an authentically detailed story. The validity of his voice reminds me of the James Herriot veterinary stories starting with All Creatures Great and Small. Any fan of the Herriot series will appreciate the new voice expressed by Richard Perce, captured in this Western setting. The validity of Doc Williams’s work with horses is quite true–although it helps the reader realize how problematic, or caring, many animal owners can be. If only the owners would call or make the right decisions on time…. Richard Perce, is already working on a sequel to The High Country. I look forward to reading his next story. 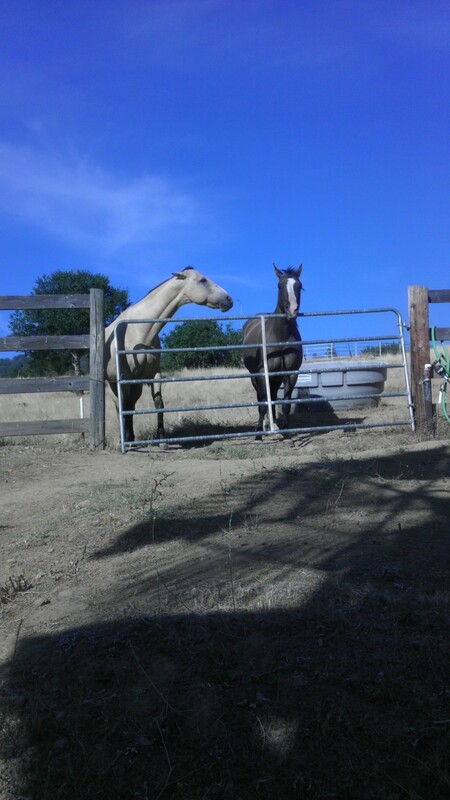 This entry was posted in authors, California Writers Club, Horses, humor, Writers and tagged books, California Writers Club, horses, stories, writers. Bookmark the permalink. 5 Responses to Who Loves Animal Stories? Thank you, Edytha. You have a valid point. That’s wonderful you were able to sculpt a memorial for your friends’ beloved pets. Today I came across bear cubs, 1991, in a second hand store. The card was with them and I had to have them. I do all I can and try my best to spread the word. Hopefully we will prevail. Hi Laurie: How wonderful to hear about some bear cubs showing up. I love those little guys, still. Glad to hear the little card was still attached. Hope you have many years of enjoyment. For your information, it took about a year to sculpt the original cubs. I had an injured wrist at the time and needed to work on something small, and soft(clay). I learned a lot as they were my first attempt and preparing work for casting in a metal. My first and last, (except for a one-of-a-kind sea liion, much larger, for my brother and his family.